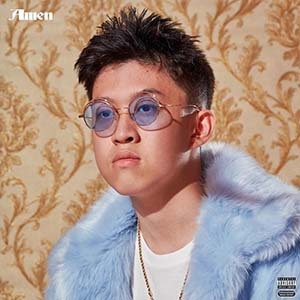 Most well-known for his 2016 debut single Dat $tick which, with its homemade music video featuring him and his friends messing about went viral shortly after its release, Rich Brian is back with his first studio album Amen. Previously releasing under the alias Rich Chigga, the Indonesian’s title track lays down the vibe for the whole album. His sounds are unconventional, and at times uncomfortable, but his monotonous rap is almost charming. The Indonesian singer reflects on his childhood throughout the album. In Occupied, arguably one of the better tracks, he raps about his life in Jakarta and his struggles to create music and get a US visa. The theme about his struggle to make it as an artist is prevalent throughout the rest of the album as he raps about teaching himself English via the internet and how he has adapted to life in front of a camera. In See Me, he raps “Skippin’ through some years but it feel right” - this seems to be referencing the need for him to quickly mature after the controversies surrounding his early career (use of racial slurs in his original stage name). In 2016 he was interviewed by The Fader and saidd: “I didn’t really know what I was doing and I definitely did not know people were going to pop off like this." Some of his more controversial lyrics are typical of the genre, but it feels somewhat artificial coming from the 18-year-old, as if he is unsure of his own style. He clearly seems to be developing his own sense of trap style and his lyrics are undeniably personal, but as of yet it feels like he is missing the experience and musical growth to root himself a clear place in the industry.